Anita’s one-hour demonstration lessons allow teachers to experience whole-class differentiated instruction, Anita style. With Anita teaching in your classrooms, teachers get to watch Anita’s use of tasks, tools and talk and see for themselves true differentiation in action. 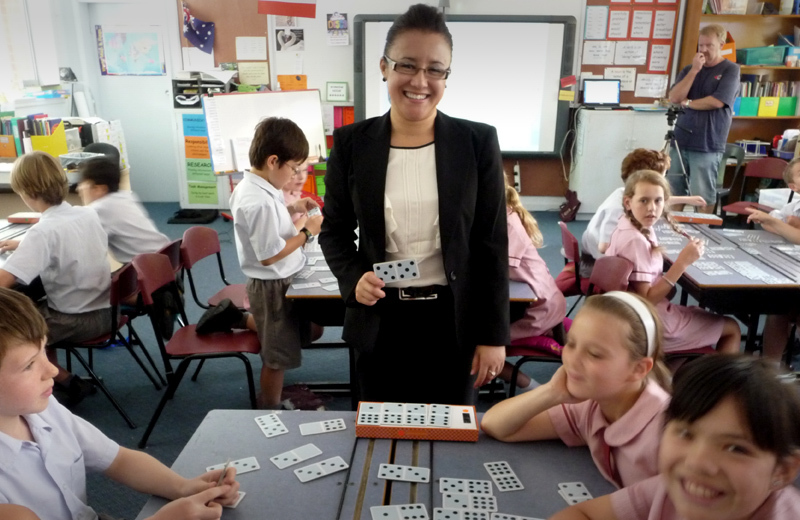 Watch how Anita ‘walks the floor’ to maximise the time spent on actual mathematics learning. See her strategies and techniques for engaging all learners through the use of open-ended questions. Experience minute-by-minute assessment for learning as she shows you how to teach the same concept K-6 using one-resource for the whole class! Anita’s dem lessons follow a 5-Part Lesson format, providing an invaluable learning opportunity for your team. Part 1 – WARM UP. Often called ‘Daily Number Sense’ this is where students are given an opportunity to practise prior learning and make connections between concepts. This can be via whole-class teacher-led instruction where students are immersed in using mathematical language to describe an image whilst seated on the floor. Alternatively, it can be via students working individually to ‘review and refine’ prior learning using prepared student whiteboard insert sheets whilst at desks. PART 2 – Explicitly INTRODUCE new content, using developmentally sequenced written and verbal modelling and open-ended questioning to foster conceptual understanding and guide differentiation. Students are usually still seated on the floor. PART 3 – REINFORCE learning, a transition to paired practise. PART 4 – Students PRACTISE new content delivered as a whole class parallel task, usually working in pairs, using hands-on equipment, visual tools, and mathematical talk to make the content accessible and rigorous for all learners. Students are strategically seated at desks arranged in groups of six (K), groups of four (Y1-Y5) and/or pairs (Y6). Written communication can be via student whiteboards and/or maths exercise books (either blank scrapbooks or lined exercise books, but not grid books). PART 5 – Students REFLECT on the lesson either individually or in pairs with their ‘shoulder buddy’. 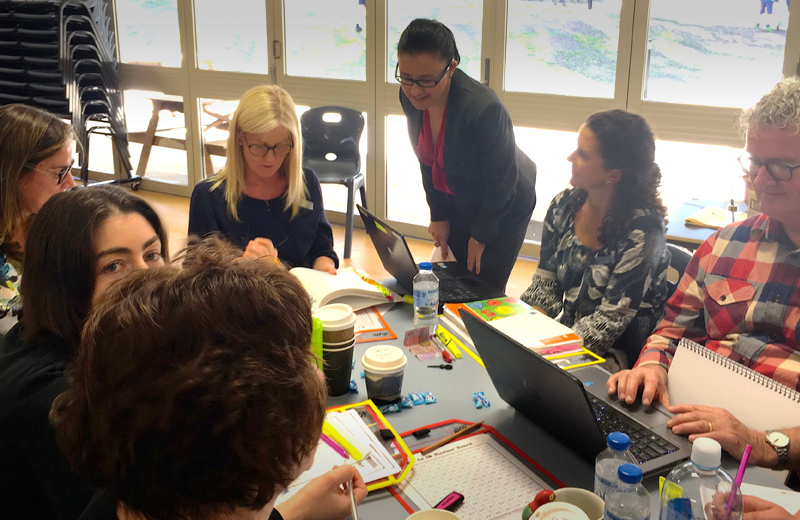 Anita’s staff development days and after-school staff workshops and provide school teams with the opportunity to delve more deeply into mathematical concepts and pedagogy. 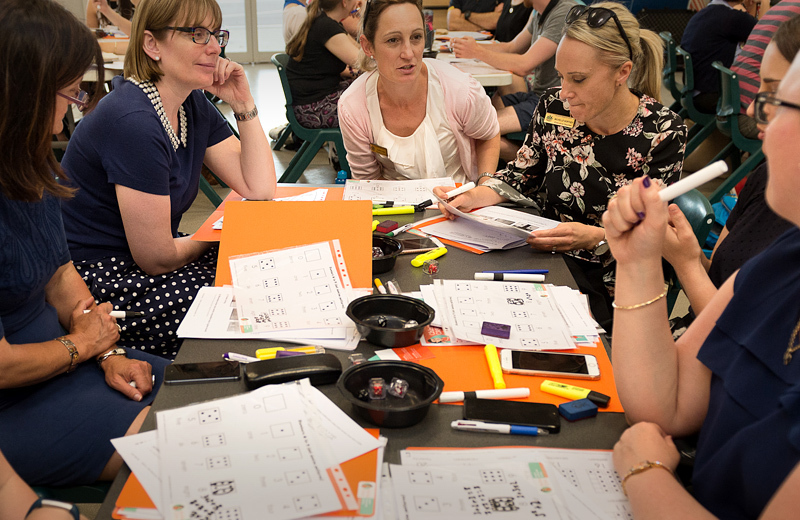 These in-depth PL sessions help teachers connect concepts and deepen their pedagogical content knowledge while working in their professional learning teams and community. Schools can choose from whole day workshops (5 PL hours), after-school sessions (2 PL hours) or a tailored package. 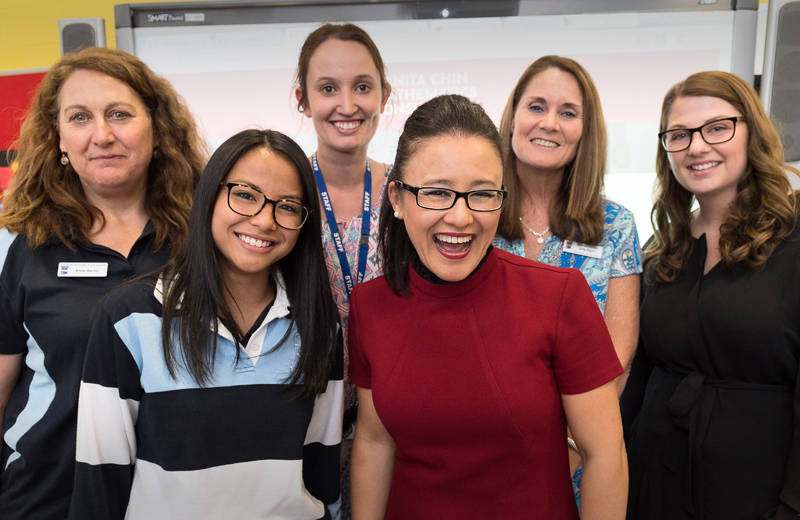 Anita Chin Mathematics Consultancy is endorsed to provide NSW Education Standards Authority (NESA) Registered Professional Development for teachers accredited at Proficient Teacher. To really deepen the benefits to students, many schools organise parent workshops to coincide with their staff PD. This ensures understanding and a consistency of approach between school and home. Anita demonstrates key mathematical language and concepts, and shows parents practical, fun ways to support their children’s mathematical understanding at home. Parent workshops are one hour long and can be held during the day or evening. Ready to step up your learning journey?